We live in a world where we have access to an infinite amount of information, all available by simply “Googling it”, and it’s almost as easy to create a website, with millions of websites available for almost any given topic, product or service. So, how do you make your website stand out when so many other websites exist? The key is Search Engine Optimized content, or as we will refer to it from now, SEO content. SEO content is any content on the internet, that draws a search engine user to a specific website, just as this article has probably drawn you to our website. Google is the most widely used search engine in the world and is responsible for the majority of search engine traffic. Google has created its own algorithms to search the web, finding the most relevant data, and returning it to its users in the order of most relevant to least relevant. Google finds this data by visiting each website, reading through it all, finding keywords and determining what is and isn’t relevant to its users. So, by optimizing the content on your website, you are making it easier for Google to find keywords appropriate to you and your potential clients searching Google. Relevance to a topic is a huge factor in ranking for a search, though it is not the only ranking factor Google uses. So, if two websites are equally relevant, the website that has more of Google’s other ranking factors will show up before the other. Some of Google’s other ranking factors include (though not at all limited to): how many authoritative sites link to your site, how fast your pages load, and how long a user averagely spends on a website. If authoritative sites link to your page, it basically informs Google that your information is trustworthy. The authoritative site shares some of it’s authority or link juice through the link. The more authoritative sites that link to you, the more trustworthy your site becomes. Taking steps to ensure your pages load fast is crucial. This is becoming more and more important as the number of searchers using mobile devices continues to increase. Not many people have patience to sit and wait for a page to load – whether using mobile or desktop- but especially on mobile devices. So, compress those images and make sure your content can load quickly or searchers will quickly leave your site (which actually brings us to our next point). If a user leaves your site quickly – especially without navigating through multiple pages – Google will see that your site is relevant to that search. 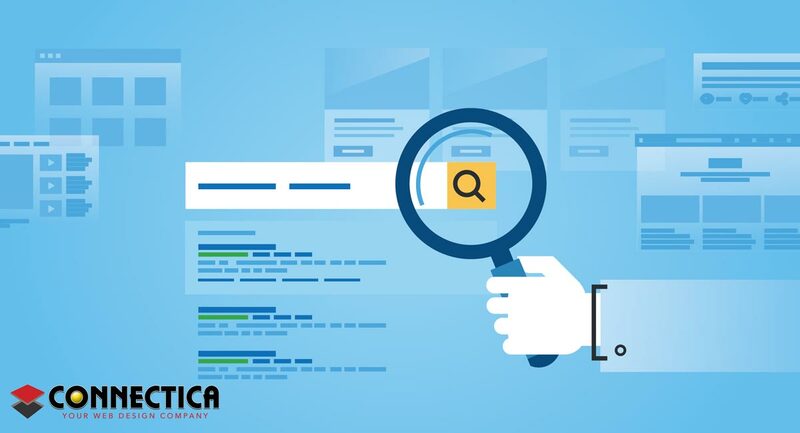 This could be caused be several different factors such as content not relevant to what the searcher is looking for, searcher is bombarded by too many adverts, or the user simply cannot navigate your site. You want to make sure your site is user friendly not only in a navigational sense but also a content sense as well. Keep your content interesting and make sure it provides the information searchers are looking for. I also think you should make it interesting enough to make searchers want more information and navigate your site for that additional information. Try linking to other internal articles or content that relates to the topic of a page. This is by no means a comprehensive list of all Google ranking factors or tips. In fact, it is just a tiny bit of what Google looks at when ranking pages in the search results. Content has been used as a broad term but can take multiple forms. For example, a retail or e-commerce site would have product pages as its content, websites like Buzzfeed or Bored Panda use lists and slideshows, Popular mechanics uses articles and videos, A DIY website would use videos and guides, content can be anything, and it’s important to know what content to use for the purpose of your website. Optimizing content, makes the content as specific as possible. Let’s take the example of a veterinary service based out of Houston, Texas. Appropriate content for the website would be about how to look after pets during heat waves, or how to identify dehydration and what to do. Articles about pets and below freezing temperatures wouldn’t be appropriate, as the people looking at this service in this region aren’t affected by freezing temperatures and will lead to more people spending less time on your website, which will in turn decrease your rankings. Content is optimized by keywords. Keywords are short terms which identify what people are searching for. When selecting a keyword, it is important to consider the amount of people searching a specific term, and the relevance of the term to your business. Returning to our previous example, “vet Houston” and “veterinary clinic Houston” are both acceptable keywords, but “vet Houston” is searched for more often. We will also assume this vet is only open for certain hours a day, so the keyword “24-hour vet” may be searched for more but is less relevant and not appropriate. This is why keyword research is incredibly important when optimizing your website. It identifies the search terms searchers are using to find services similar to yours which provides you the opportunity to go after those terms. As mentioned, you want to go after terms relevant to your site as the relevance keeps people on your page and tells Google you do in fact have the information searchers are looking for. While keywords are still the main means to understand what a page is about, search engines are constantly improving, and finding new ways to filter information. The title tag displays in the search results as well as the tab of your browser. Make sure your keyword is not only included in your title tag but placed towards the beginning of the title. Title tags work together with meta descriptions to drive traffic to your page. Meta description works as an advert in search engines. It’s the few sentences under the link in the results of your search. Having an interesting meta description that acts as a call to action and gives searchers more reason to click on your link greatly improves traffic. I like to think of title tags as a tagline where you first catch a searchers attention while the meta tag makes them actually click the link. The content within the page then closes the deal and either makes them stay or leave the page. Having users click on your link is only the first part of improving your incoming traffic. Getting users to stay is the next. The content you supply is unique and full of value, that it encourages uses to stay on the website longer, and has the exact information they are looking for, and in the current age of social media, content should be created to encourage sharing.